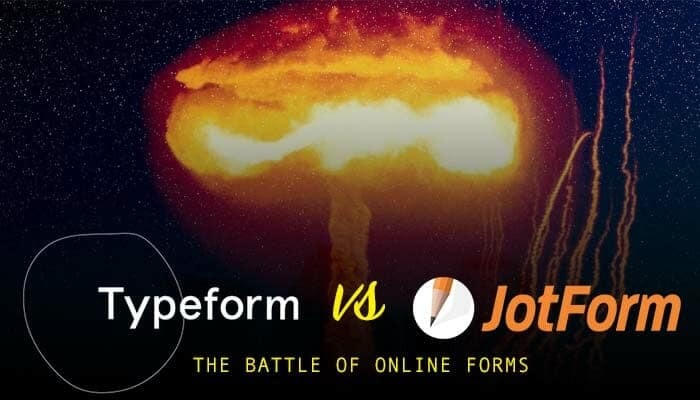 1 The two biggest online form builders – Jotform and TypeForm – battle it out. Who will come out on top? The two biggest online form builders – Jotform and TypeForm – battle it out. Who will come out on top? Forms automation software is used by different types of clients including small, medium and large businesses as well as freelancers. Do you need to buy forms automation software for your company? If so, you should definitely take a closer look at the software products which are developed by JotForm and TypeForm companies. It’s important to know that JotForm and TypeForm are the world’s leading developers of forms automation software. Their software products have many things in common as well as differences. The big question is – what automation software is better TypeForm or JotForm? Today, we are going to compare TypeForm vs JotForm and outline the key differences between their software products. We’ll review the products of each company and analyze their service plans, features, customer support as well as terms and pricing carefully. Hopefully, this will help you make the right choice! 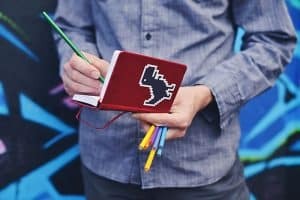 JotForm offers four service plans – Starter (free), Bronze ($19 per month), Silver ($39 per month) and Gold ($99 per month). The plan’s price depends a lot on the number of forms, monthly submissions, monthly form views, the amount of available space and other features. First of all, you should realize how much resources you need. By doing this, you’ll be able to select a service plan that fits your needs and budget in the best possible way. JotForm provides its clients with different types of payment options. So, you’ll be able to select free, monthly payment or annual subscription. TypeForm offers three service plans – Basic (free), Pro ($35 per month) and Pro + ($70 per month). Each of service plans comes with its own unique set of features. First of all, you should decide what type of forms you need. The next thing you need to do is to select a service plan with all the necessary features. TypeForm also provides its clients with different types of payment options. So, you’ll be able to select free, monthly payment or annual subscription. JotForm supports its clients via a ticket system. TypeForm supports its clients via Live Support. The software developer also provides its customers with training. JotForm software products work on different types of devices including Windows devices, iPhone/iPad devices, web-based devices, Mac devices as well as Android devices. TypeForm software products work on different types of devices including Windows devices, iPhone/iPad devices, web-based devices, Mac devices as well as Linux devices. JotForm forms automation software can be easily integrated with over 100 online systems and applications. You’ll be able to integrate the software with such solutions as Authorize, Aweber, Dropbox, Egnyte, Google Drive, Freshbooks, PayPal, Salesforce, Square, Stripe, WebHooks, Zoho CRM and many others. You’ll find it easy to integrate TypeForm with Zapier. JotForm is an easy to use forms automation software that comes with many great features including an automated storage and organization of submission, online form designer, customizable pre-made templates and themes, drag-and-drop customization, a group editing feature, an image/logo upload, online/offline collaboration, payments, widgets, reports, over 1000 integrations and more. With TypeForm forms automation software you’ll be able to create an unlimited number of forms and surveys. The software’s features include: 128-bit SSL encryption, answer piping, free API, data export options, hidden fields, a logic jump feature, a pricing calculator and more. The software comes with pre-made templates. Plus, you’ll be able to design your own templates with TypeForm. It’s pretty easy to integrate TypeForm with Zapier that can be used to connect the software with more than 200 services. We have just compared JotForm vs TypeForm and described the common things as well as key differences between these two types of forms automation software. So, you’ll be able to figure out what type of the software meets your needs best and then make the right choice. It’s clear that both JotForm and TypeForm have a lot to offer to people who are interested in forms automation software. JotForm is known for being a feature rich professional form building software. Nowadays, this type of software is used by so many individuals and companies all over the world. With TypeForm you’ll be able to create as many beautiful forms and surveys as you need. Obviously, you must be very selective when it comes to choosing forms automation software. You need to pay a close attention to software’s features and, of course, the price. It’s important for you to explore the available plans carefully. On the one hand, you need to select a software product that comes with all the necessary features. On the other hand, you should buy the software that meets your budget. Use free version of the software first and analyze all pros and cons of each option carefully prior to making a purchase. Best of luck!